Hovering in a helicopter over an arid landscape in Afghanistan, Staff Sgt. Mark Joseloff thought his elite paramedic training had prepared him for whatever awaited him below. Tending to a military dog that had collapsed in the 110 degree heat, Sergeant Joseloff, 34, leaned on what he knew about treating humans in similar situations. He covered the dog in a wet blanket, applied electrolyte gel and ordered the helicopter to fly with its doors open. The dog, however, refused to drink water. Filling a gap in battlefield emergency care, more than a dozen rescuers in the Air National Guard, including Sergeant Joseloff, spent two days recently learning how to treat dogs in combat settings. 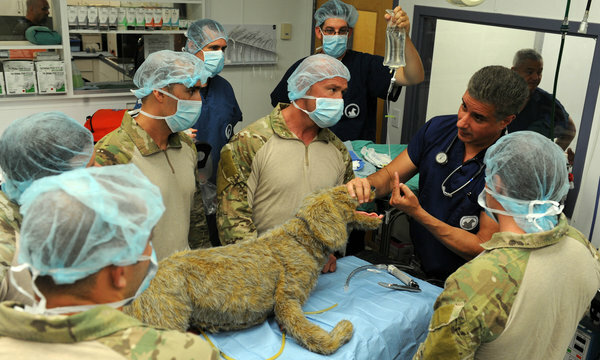 With military dogs playing crucial roles in operations in Iraq and Afghanistan, the need for expertise in quickly tending to wounded or sick animals has become imperative. “There’s no reason that what we do on the battlefield should not reflect the best medicine in the world,” said Air Force Lt. Col. Stephen Rush, who helped organize the training. The training was conducted by Long Island Veterinary Specialists, which is considered one of the most advanced veterinary hospitals in the country, and by K-9 Medic, a company that teaches how to give emergency medical care to service dogs. Colonel Rush, a clinical assistant professor of neurosurgery and radiation oncology at New York University, said the two-day training could serve as a model for future courses. There are about 2,700 dogs serving in the armed forces; 29 have been killed in action in Iraq and Afghanistan, according to a military spokeswoman. The dogs sniff out bombs and detect booby-traps inside buildings and along roadways. The total value of a trained working dog — often German shepherds, black Labrador retrievers, or Belgian Malinois — can reach $40,000. In addition, the units they serve grow emotionally attached to their dogs. “A dog is like a brother to these guys,” Sergeant Joseloff said. Elite pararescuemen, trained as emergency paramedics, are responsible for many rescue and recovery missions in remote and dangerous locations. On a recent Monday at Long Island Veterinary Specialists in Plainview, the pararescue members took turns gently rolling two black Labrador retrievers, named Angel and Shadow, onto their sides. The men learned how to carry a dog without hurting its spleen and how to carry one with a back injury. A hospital worker showed the men how to examine a dog’s gums to determine if it is sick. They took the dogs’ pulses. For the most part, Angel and Shadow kept their poise, allowing the soldiers to poke and prod them. “You might not have it so easy in the field,” said Marissa Soto, a veterinary technician. The facility offers some of the most advanced animal care available anywhere, with a more sophisticated M.R.I. 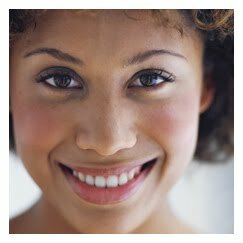 machine than many hospitals have and specialists who include dermatologists, ophthalmologists, hip surgeons and brain surgeons. Dr. Dominic J. Marino, the hospital’s chief of staff, has become so highly regarded for his work on dogs with certain neurological disorders that he has been invited to address conferences of doctors who treat humans with similar disorders. During the training, instructors emphasized the similarities in treating dogs and humans. The soldiers practiced sewing wounds on preserved pigs’ feet using the same kind of stitching they would use for humans. In other lessons, like treating a dog in shock, the men learned the appropriate dog-size doses of fluid to use. But there were important differences. Humans in pain rarely bite the medic treating them. Dogs can be a different story, so muzzling the injured animal is a priority. And the men were surprised to learn that applying a tourniquet to a wound, a standard procedure on humans, might cause more harm on a dog. As part of the training, they put on blindfolds and used their hands and feet to feel the ground and reach a stuffed dog inside the hospital’s rehabilitation center. With an instructor narrating beside them, they simulated a check of the dog’s vital signs. The instructor sprayed water to simulate blood escaping the dog’s body as the soldiers applied bandages. Many forgot to muzzle the animals. Jo-Anne Brenner, the director of K-9 Medic, helped plan the curriculum for the training. She said the goal was to make it hands-on and to ensure that the pararescuemen committed to memory the skills necessary to treat dogs in crisis situations. Ron Aiello, the president of United States War Dogs Association, an advocacy group for working dogs, says that the military’s treatment of working dogs has improved significantly during the last half-century. Now, military dog handlers are trained in first aid and veterinarians are stationed in war zones. Still, training military paramedics in animal emergency care is important because they are often the first on the scene providing medical attention. This entry was posted in War dogs, War zone on August 28, 2013 by yourfriends. Ever noticed your cat take a whiff of something (like your foot) and then make a face like they were totally offended! They hold their mouths open in sort of a grimace for a few moments. This is actually just a process of taking in the scents around them called the flehmen response. The flehmen response is a particular type of curling of the upper lip in felines and some other animals, which facilitates the transfer of pheromones and other scents into the vomeronasal organ, also called the Jacobson’s organ. This organ is located on the roof of the mouth and when your cat draws back their lips (the open mouth appearance that gives them that grimacing or smirking look) the vomeronasal organ is exposed and scent molecules can be drawn back toward it. In this way information such as the urine of another species can be detected and clues about the animals present environment can be determined. Things like the absence or presence of estrus and how long ago a predator or prey may have passed through are things a cat may use this scenting organ for. This organ is highly developed in cats accounts for cats having a far superior sense of smell than us humans:)! Other animals that utilize the flehmen response are tapirs, horses, tigers, buffalo, giraffes, goats, sheep, llamas, and kobs. 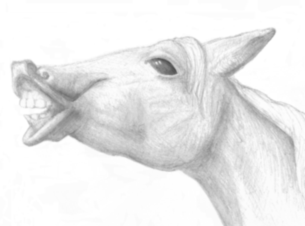 This entry was posted in Flehmen response, smell on August 14, 2013 by yourfriends. Wolves are hard to train and never really lose their wild streak despite being so genetically similar to dogs, but new research reveals why wolves remain wild while puppies and their adult dog relatives are so loving and trusting of humans. Much comes down to how they enter the world. Evolutionary biologist Kathryn Lord of the University of Massachusetts and colleagues, in a scientific first, discovered that wolf pups are still blind and deaf when they begin to walk and explore their environment at age two weeks. “No one knew this about wolves, that when they begin exploring they’re blind and deaf and rely primarily on smell at this stage, so this is very exciting,” Lord was quoted as saying in a press release. Puppies, in contrast, begin to explore and walk after all three senses—smell, hearing and sight—are functioning. Instead of fearing stimuli, they seem to love it and even seek out new adventures, as anyone with a puppy happily nipping at their toes has found out. It then sounds like there is a tradeoff between world readiness and fear and aversion. Dogs, due to their association with humans, usually get an easier, more protected start. Puppies have time to grow and develop in guarded care. 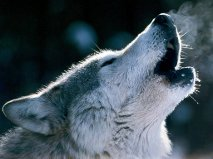 Wolves, on the other hand, have to nearly hit the ground running, able to escape predators and avoid other threats. Lord and her team came to their conclusions after studying the responses of 7 wolf pups and 43 dogs to both family and new smells, sounds and visual stimuli. But why are wolf pups, puppies, and adults of these species so differently behaved, when theirgenes are very similar? This entry was posted in wolves on August 7, 2013 by yourfriends.